Les Colonnes Sonores is presented as part of our Guest Curator Exhibition - SV+VS (Sonifying Visuals / Visualizing Sound) curated by Yoon C Han. Les Colonnes Sonores is a series of six drawings with accompanying sound compositions. 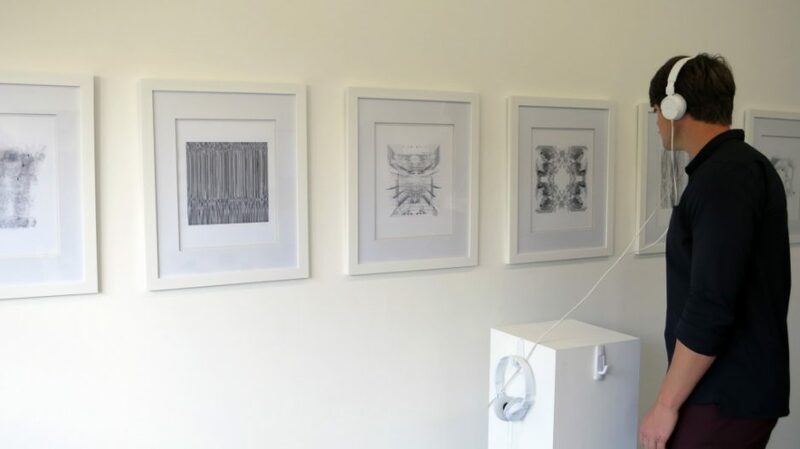 These drawings and soundscapes are an exploration of the classical Greek architectural orders integrated using sound. These three ordered elements represent beauty, harmony, strength and elegance in the composition of architectural form and this work explores the relationship of these orders to the sonic sphere and towards the making of new archimusical elements that can be both seen and heard together. Our Guest Curator Exhibition is supported by a generous grant from the Carl and Marilynn Thoma Art Foundation.